Big brown bat in wall in Kansas City, MO. 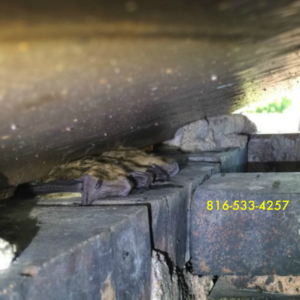 Wildlife Command Center can help with bats, bat guano and sealing your house up to prevent bats from getting inside. Our mission is to help protect your property while helping the bats get out of your house, win/win solutions for both bats and people. Call us today at 816-533-4257 we can help, we will help, you are in good hands.